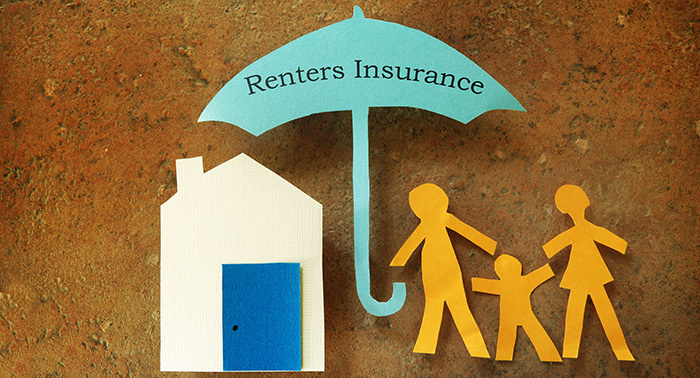 Renters insurance provides protection (up to the policy limits) for loss of belongings resulting from fire, smoke, windstorm, lightning, vandalism, theft, an explosion, or a water problem. (Damage from flooding, however, is not covered.) A renters policy also provides liability protection in the event someone is injured in the home; and if the home becomes unlivable due to a covered peril, renters coverage may pay for the renters’ living expenses while the property is being repaired. Some property owners only lease to tenants who show proof of renters insurance. The extra protection might prevent a tenant from suing a landlord in the event of a fire or other mishap on the property. The good news is that renters insurance is relatively inexpensive, but the cost varies depending on where the home is located and how much insurance coverage is needed. Dedicated landlord policies differ from standard policies for owner-occupied properties because they are designed for people who own investment or vacation property that is rented to others. However, some homeowners may occasionally rent out their primary homes to out-of-town visitors in need of lodging or “swap” their homes for accommodations in a place they want to visit. The type of coverage needed depends in part on whether the landlord is renting out the property temporarily or on a long-term basis. Long-term lease. A landlord or rental dwelling policy is required if the home will be rented for a long period of time. These policies help cover physical damage of the home and other structures for covered perils, any contents that belong to the owner, lost income resulting from damage to the building, and legal fees and liability (up to the policy limits) in the event that a tenant or other individual is injured on the property. Short-term lease. A landlord who plans to rent all or part of his or her primary home for a short period of time (such as a week or several weekends) should check with the insurer. Some insurance companies will allow a short-term rental if notified in advance, whereas others will require an endorsement to the existing homeowners or renters policy. Regular short-term rentals. Generally, renting a home on a regular basis qualifies as a business, which is not covered by a standard homeowners policy. For appropriate coverage, a business policy designed to cover a hotel or a bed and breakfast should be purchased. Whether you are a landlord or a renter, you may want to consult an insurance professional to learn more about the different coverage options available to you.